Have you ever been singled out unfairly in your favor? I’m going to stick my neck out and say that the fruits of discrimination are harder to recognize but sometimes more poisonous for the recipients of the favored side of discrimination. The most stark examples in my life happened in Japan… both at being discriminated FOR and AGAINST. Either way, these are pretty mild examples as discrimination goes, but they made a big impact on me. About 2 months into my teaching job in Japan, I was assigned to attend a special regional training seminar in a neighboring city with one of my Japanese colleagues. It was a full day event. We traveled by bullet train into the metropolitan area and attended a full day of workshops. Before the lunch break, all of the gaijin (non-Japanese) teachers were invited up front to collect their lunch money. The company was paying for our lunch, but just ours. 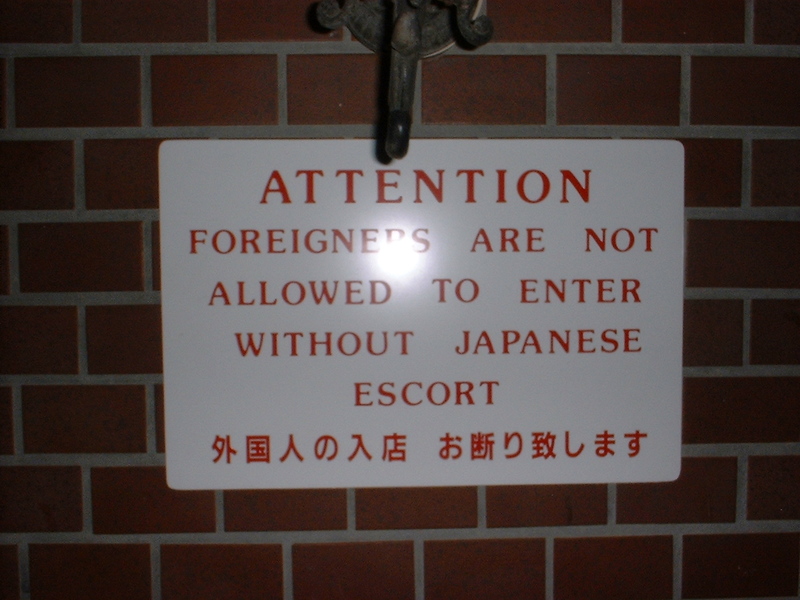 There was no such invitation for the native Japanese teachers. I looked at my Japanese colleague horrified and confused. Surely I had misunderstood. Nope. I had gotten it right. The odd thing was that the Japanese teachers seemed far less surprised and disgusted than I was. They knew the company policy and something deep down told them that we were the specialists in the company and therefore we deserved the extra perks. Old timer westerners in the meeting didn’t even seem to blink and eye. It’s just the way things were. But none of the native English speakers had done anything to earn the privilege other than to be born in an English speaking country. I did go get my money that day, but I split it and treated my Japanese colleague to lunch amid her protests that it wasn’t necessary. I would have felt dirty having kept it to myself, but stuff like this goes on every day in all corners of the world. The thing is that I later noticed something odd among some western expats in Japan. As they continued receiving unearned favors and perks over the years they seemed to regress in social maturity to become odd and lived in an English speaking bubble. I’d speculate that being the continual recipient of unearned privileges turns humans into assholes. On the other side of the coin, on the streets of Japan and in retail establishments I was occasionally followed by security because, being a westerner, I was profiled as a potential shoplifter. It was a minor irritation but completely unnerving to have one or two employees shadow your every move throughout a store or a mall. Again I’d done nothing to deserve the extra scrutiny but there’s something very demoralizing and unjust at being singled out like this. Have you ever been accused of something you didn’t do? It almost makes you want to go ahead and commit the infraction because you’re being targeted for it anyway. Of course I never did shoplift but I understand that train of thought. I can’t imagine what it must be like in this country to get pulled over for a DWB or profiled in the airport for being too middle-eastern looking. 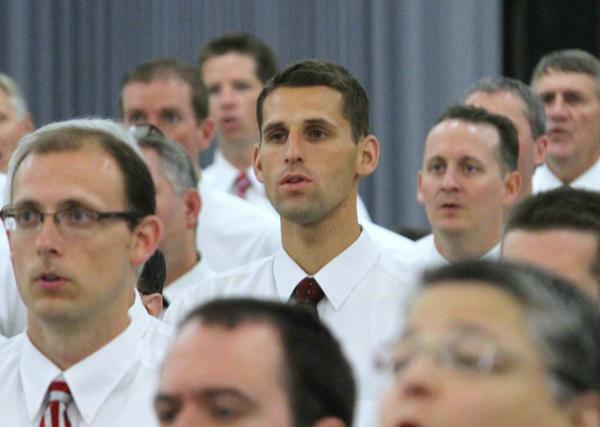 I also can’t imagine what it feels like to be a Mormon woman who desires for more meaningful contribution to the authority structure of the LDS Church only to be denied and called less faithful. I would imagine that that only creates an impulse to leave and become less faithful since that’s what they are being accused of anyway. 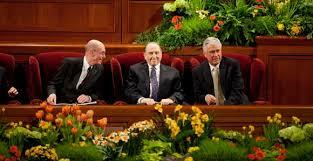 Likewise, LDS men have done nothing to merit their spot of privilege. From an outsider’s perspective they just look like privileged assholes – getting something by virtue of birth. I speculate that that image will only solidify as the males in authority retrench ever more strongly because the current setup is poisonous to both the men and the women. The men for being discriminated in favor of, and the women for being accused of something they aren’t in fact guilty of. Keep in mind all you LDS women who claim not to feel discriminated against… It doesn’t really matter what you think or feel. In fact it’s common for victims of discrimination to be unaware of it. My Japanese colleagues were much more content with the status quo than I was. Their compliance neither adds nor subtracts from the fact that it was wrong and unfair of the company to pay for my lunch and not theirs. I’m as worried for my son as I am for my daughters as they grow up and absorb the toxic effects of unearned privilege and discrimination in their mother’s LDS faith.